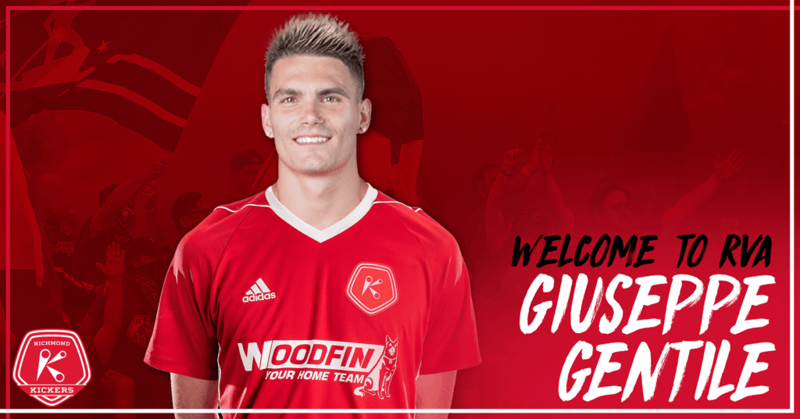 RICHMOND, VA – (Wednesday, January 24, 2018) – The Richmond Kickers are pleased to announce that forward Giuseppe Gentile has signed for the 2018 season, pending USL and USSF approval, and International Clearance. A native of Miami, Florida, Gentile attended University of North Carolina – Charlotte for three seasons (2011-2013), finishing his collegiate career ranked 11th in school history with 66 career points and 10th with 27 career goals. Gentile joins 15 players currently under contract including Matt Bolduc, Heviel Cordovés, Marcel DeBellis, Raul Gonzalez, Yudai Imura, Alex Lee, Luiz Fernando, Fred Owusu Sekyere, Mallan Roberts, Conor Shanosky, Brian Shriver, Braeden Troyer, Oscar Umar, Finnlay Wyatt, and Austin Yearwood.